I think it’s neat to find examples of Lean Six Sigma techniques in restaurants and stores when I’m out to eat or shopping. What started as a philosophy in the manufacturing world seems to be transcending into our everyday shopping experiences, and even into the products we choose to add to our carts. 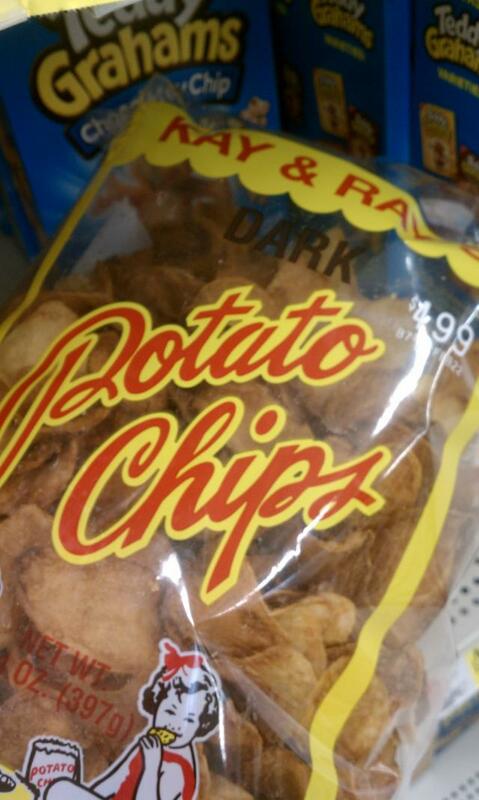 I was recently in a grocery store snack aisle when I came across a bag of dark potato chips. 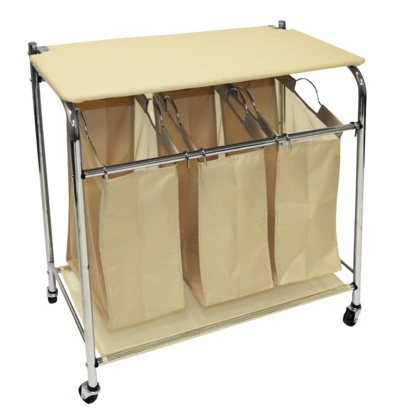 I also found this “triple sorter” laundry hamper that can help achieve one-piece flow in the laundry room. The sorting is done as you place clothes into the hamper, eliminating the lead time that is normally needed when you have to sort all of your clothes before placing them into the washing machine. With my dark potato chips and triple sorter in tow, I headed to checkout where I was greeted with a self-checkout option. 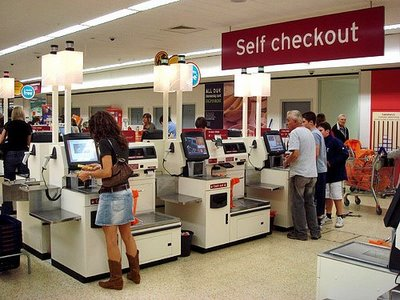 Self-checkout lines eliminate the waste of waiting for an open checkout line in many instances, as stores can afford to operate more lines when the wages of a physical person are figured out of the equation. While stores still have clerks on hand to supervise customers, instead of one clerk per customer, you’ll often see one clerk supervising 4-6 self-checkout lines. There are still times when I have large grocery order and prefer to wait for the cashier to help me check out, but I think the self-checkout option acts to keep lines for conventional checkouts shorter as well. Self-checkouts tend to funnel the people with only a few items out much quicker, keeping that group away from using the conventional checkout—thus decreasing overall wait times for people with larger orders. I recently saw this blog post by Pete Abilla that discusses a new waiting line management technique being piloted by Kroger grocery stores. The new system is designed to have only one customer waiting in each line at all times! Lean in the parking lot? 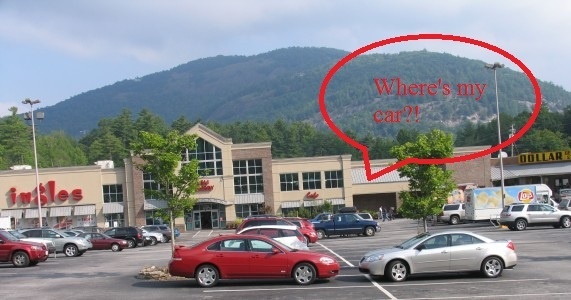 From time to time, I walk out of the grocery store or mall and realize that I have no recollection of where I parked my car! Sometimes I’m even too far away to take advantage of using the alarm or lock button on my key’s remote control. To eliminate the waste of time and motion it takes me to walk around the parking lot in search of my car, perhaps retailers could make visual cues readily available (on tall parking lot lights) or even paint numbers on spots to give consumers a cue to remember where their car is parked. Have you seen examples of Lean in any of your shopping trips?